How do you effectively create and shell out GREAT content to draw in those customers? 1. Offer Extras Prospects WANT. Everybody loves free stuff, and enriched content (like an eBook or white paper) can work wonders for your lead pipeline—but ONLY if you’re offering up tactical content your potential customers really want. Either give away your content for free, in exchange for their precious email address (Presto! A new lead!) –OR– launch a special giveaway for an information-laden eBook across different social media channels to engage your audience on a broader spectrum. 2. Provide Answers. The majority of people search the web for answers to specific questions. The more in-depth information you can provide about topics they’re looking for, the more eyes you’ll get on your page. The longer visitors stay, the more likely they are to buy from you, or at least return for more information. Providing information builds trust, and people buy from businesses they trust. Be the authority. They’ll love you for it. 3. Hold Webinars. People love to participate in webinars, especially when they’re on a not-so-easy-to-understand subject. Give your prospects an opportunity to ask questions live and you give them a voice: answer their questions and they’ll know they’re heard and that your business cares. Plus, displaying recorded webinars on your website allows visitors to find out what other people are asking. You demonstrate your expertise and build credibility during that delicate research phase. Want to learn more about this mysterious buy cycle? 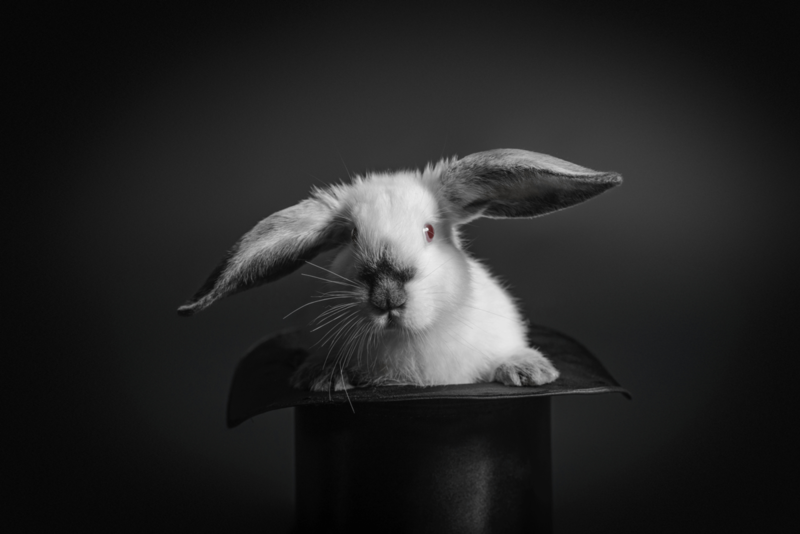 No need to pull a rabbit out of your hat. Just download our FREE Growth Cycle Marketing white paper to better connect with your prospects before, during and after the sale. 4. Be a Tease. Think about how news programs entice viewers to tune in: “Are you at risk for Ebola? Find out at 11.” If they just stated a conclusion like, “Don’t worry, you’re not at risk for Ebola,” fewer viewers would tune in. Their goal is to get your attention—and your viewership—by adding a sense of urgency to what would otherwise be fairly ordinary reporting. But you don’t have to follow the example of our hyperactive media—it’s better to be measured and honest than simply sensational. For your business, post enticing teasers with a clear call to action. 5. Offer Fresh Content—Often! One of the most important things you can do to attract visitors is keep your website new and updated. Even your old customers will get bored with the same content day after day. Serve up piping hot fare fresh every week and they’ll keep coming back for more. If your website isn’t bringing in the traffic, there’s no need to wave your magic wand—instead, it may be time to rethink your content strategy. Too many businesses make their web and social media offerings all about themselves and not about their customers. While telling your story is important, always do so with a focus on how you can help your customers—then watch your content work its magic!